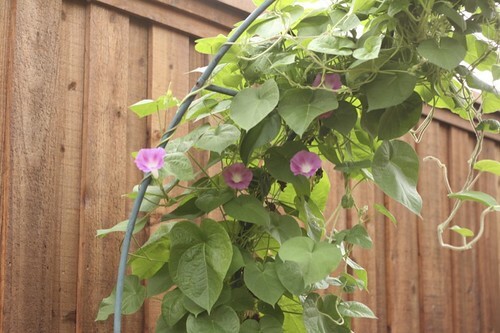 A great way to start the week is to see our first Morning Glory blooms. I'm sure I planted the blue variety, but the purple is beautiful, too. Those are lovely! I saw our first blooms this morning. Very beautiful! The purple really is lovely! I, too have Morning Glories planted. I did them in hanging pots this year bc I was tired of trying to untangle them from my roses. They haven't bloomed yet. I think next year I'll plant them out back where they can run free. BTW-The purple are truly lovely. I wonder how they appeared instead of the blue? Very pretty! I grow them every year around my mailbox. They're gorgeous! I used to plant morning glories every year when I was a child. I think I'm going to have to remember to do that again next spring. How beautiful!! Maybe some blue will pop up somewhere else. 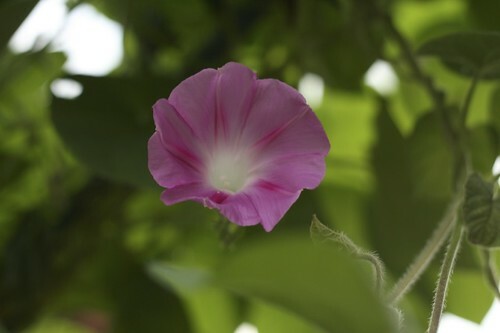 It seems strange to hear someone say they planted a morning glory because it is an invasive plant here and seems to pop up in the least desirable places. They are pretty, though and Hummingbirds love them. So, pretty. I just love morning glories! I thought they were always blue!! These are beautiful! I planted the blue ones too..but still no blooms. The purple ones are pretty. I think they even have red ones...the blue is my favorites!! They are beautiful. I haven't been by in awhile, so I just wanted to stop and say hello! Hope you're having a great summer! So cheerful! I wonder if the acid/ph balance in the soil is responsible for the color of the blooms? I admire that your yard looks so lush and lavish. It is a lot of work and you do it so well! Gorgeous blooms! So very dainty too. I love your morning glories! Beautiful! I enjoy your sidebar of recipes and decorating ideas as well. I wish I knew how to do this on mine but alas not that informed. How lovely, Kelli! 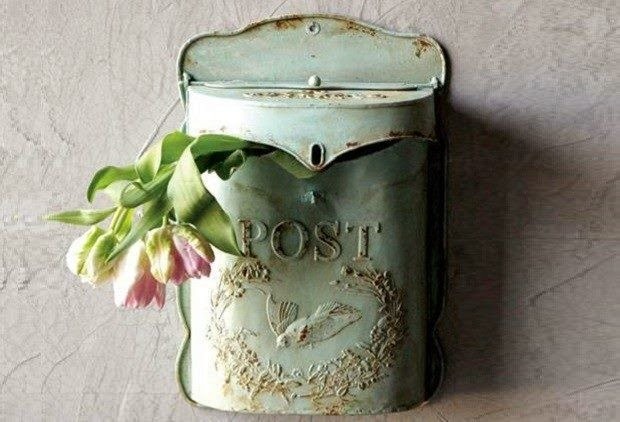 I remember a post like this from last year, and we also had morning glories at the time (at our old house) and your post instantly made me fall in love with a little piece of the place that we were currently trying to desperately to sell. It was a nice reminder that there's beauty in all things. Now, here we are, a year later and in our lovely new home. 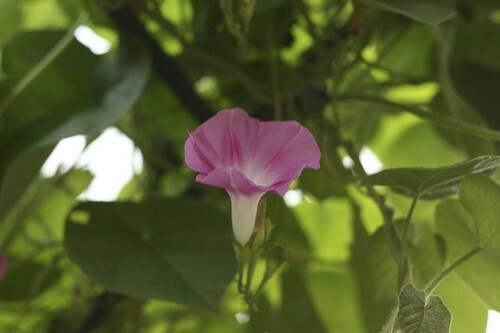 I still reminisce about those morning glories, though. :o) God is good. Have a great week, mama! I love morning glories, they are beautiful. Just stopped by to wish you a Happy September. Enjoy.